A new testing facility for pesticides has been launched by Fera, in partnership with the Centre from Crop Health and Protection (CHAP). The testing facility is known as an E-Flows mesocosm. It is an outdoor experimental system that can simulate natural aquatic environments such as ponds, ditches and streams under controlled conditions. Mesocosms are used by the agrochemicals industry during the development and registration process to demonstrate that their product is safe for aquatic environments, according to Fera. Historically, many standard mesocosms have lacked the scale, water flow and realism of real-life aquatic environments. These small and constrained studies also encounter high levels of variation across repetitions which results in the data having poor statistical power, according to Dr Rachel Benstead, senior aquatic ecotoxicologist at Fera. She says: “Large mesocosm units are better able to support diverse aquatic communities. 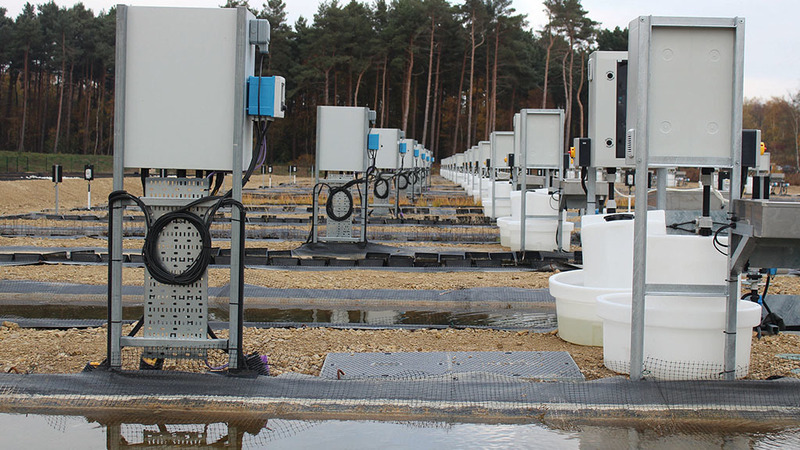 The E-Flows mesocosm provides a test-bed of 60 realistic streams, each up to two metres wide and 10 metres long. Flow can be varied according to the water body the facility is emulating with fresh water flowing through a closed system, explains Fera.